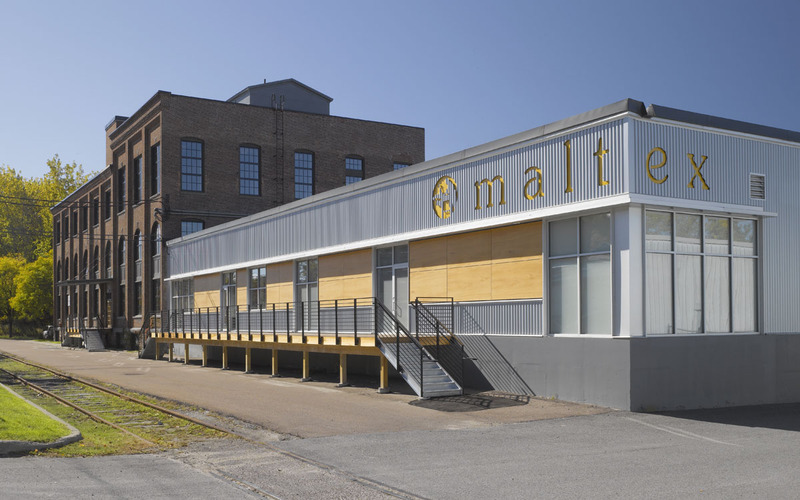 Built in 1899, the original Maltex Building operated for decades as a malted cereal factory, and is now one of Burlington’s most notable historic structures. 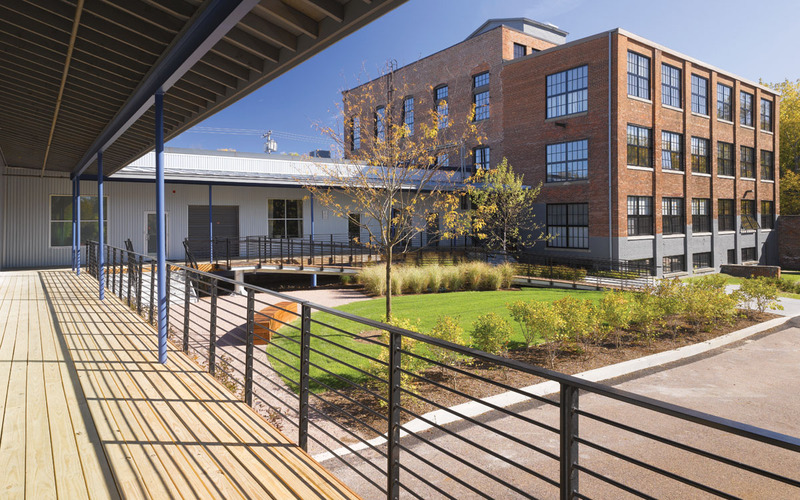 The current owners turned to TruexCullins to modernize the adjacent Annex building, transforming a non-descript 1950’s warehouse into a modern and energy-efficient office space. The contemporary palette of corrugated metal and wood panels enhances the beauty of the adjacent 1899 historic brick building. 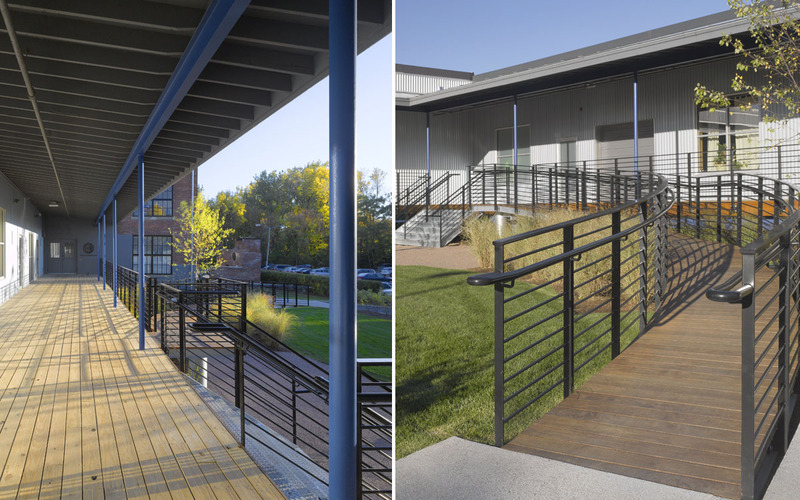 Site improvements include outdoor decks, a dramatic curved ramp and an outdoor sculpture garden. 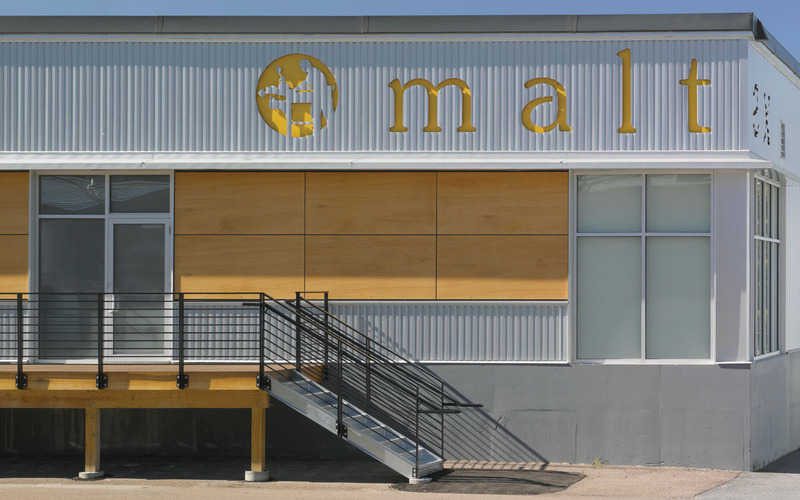 Today, the Maltex Building is one of the most desirable places to work in Burlington’s South End and contributes to the vibrant street life along the emerging Pine Street corridor.